Throughout Grey Cup week, CFL.ca will be providing unprecedented live coverage of milestone events heading into Sunday’s big game. 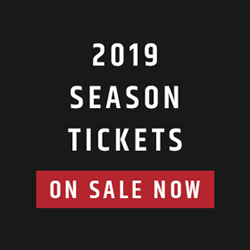 With live broadcasts of the head coaches press conferences, daily player and coach media availabilities, SHAW CFL Player Awards, annual State of the League address and extensive post-game podium speeches and reaction from BMO Field. For the first time ever, the CFL is bringing you a daily talk show: Grey Cup Week Live. The show will be streamed via Facebook Live and on CFL.ca from the heart of the Grey Cup Festival presented by Shaw. Join CFL Host Brodie Lawson as she chats with players from across the league, TSN talent and surprise guests. CFL.ca will have live coverage of the winners and losers media conferences live from BMO Field in Toronto following the 104th Grey Cup presented by Shaw. *All times are subject to change with limited notice. Please follow the official CFL Twitter account (@CFL) for updates. Members of the Ottawa REDBLACKS speak to the media on the eve of the 104th Grey Cup presented by Shaw following their walkthrough. Members of the Calgary Stampeders speak to the media on the eve of the 104th Grey Cup presented by Shaw following their walkthrough. On the eve of the big game, Brodie breaks it all down with The Waggle’s Davis Sanchez and is joined by CFL alumnus Mike Vanderjagt. Stampeders Head Coach Dave Dickenson and RB Jerome Messam take to the podium to address the media ahead of their Friday practice. Brodie Lawson returns and digs deep into Sunday’s matchup with CFL.ca columnist Matt Cauz. we also chat withe the 2016 Most Outstanding Defensive Player, Solomon Elimimian, about his big win last night. Plus, Blue Bombers DBs Kevin Fogg & TJ Heath, and Argos DB Matt Black stop by to chat about their respective teams and the big game as well. Members of the Ottawa REDBLACKS take to the podium following their practice on Friday before Grey Cup. CFL Commissioner Jeffrey L. Orridge takes the stage for his annual State of the League address from Toronto, ON. Waggle host James Cybulski hosts Thursday’s edition with guests Alex Singleton and Bakari Grant of the Stampeders as well as members of Tokyo Police Club. Plus, Riders QB Brandon Bridge sits down for a chat and Damon Allen enters as a surprise guest! Brodie Lawson kicks off Grey Cup week by digging deep into Sunday’s mathup with CFL.ca columnist Matt Cauz and TSN Correspondant Gary Lawless. Plus, Andre Durie and Chad Owens stop by to talk about the difference between being in the big game and soaking in the festivities.